In this tutorial we focus on how to publish a blog post on WordPress which goes onto your channel page. This provides a great way to communicate with people visiting your channel page as you can post text updates, schedules, time changes, photos and much more. 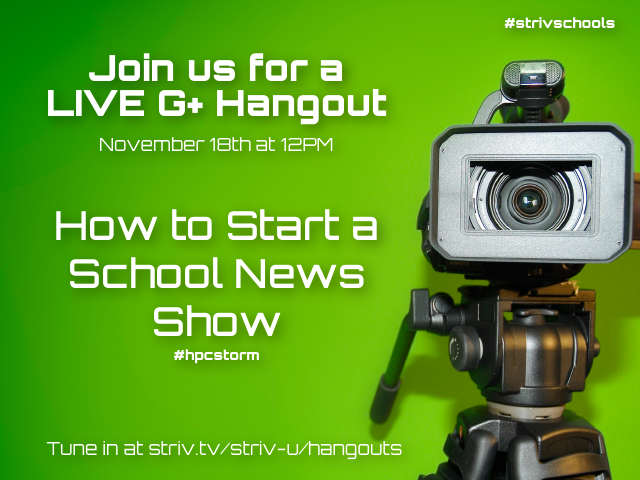 We had the opportunity to talk with the High Plains Storm News Team and how they developed their digital media broadcasting class over the past 5 years and how their news show started. We had the chance to catch up with Matt Sherman the owner of Three Pillars Media in Lincoln which specializes in video production, photography and web design. Matt shares some video tips to students and some equipment they use in the field. If you have a second camera hooked up like a Logitech C920 Webcam and you want it to be on the scoreboard in your gym this is how you get it added and then cropped to show on your main camera view. A quick video tutorial about getting Wirecast setup, adding sources and editing your shots.